While physics and physics-based disciplines adequately describe the non-living, there is a need for a complementary perspective that captures the essence of life: the specific causality characteristic of life that is accounted for by integrating past, present, and future. Until the beginning of the 20th century, few attempts were made to articulate hypotheses and to verify historical evidence through experiments. 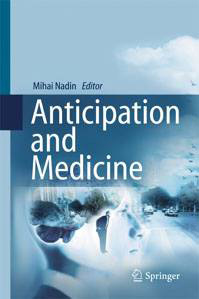 There is a rapidly growing interest in understanding how anticipatory processes take place and what the practical implications of this understanding might be. Mihai Nadin organized the session Anticipation and Risk Assessment (with speakers from industry and universities) at the ICDRIA (International Center for Decision and Risk Analysis) conference Decision-Making Under Uncertainty (2007). Speakers from universities and industry described application of anticipation to various projects and production methods. The results of the session were published in an issue of the new journal Risk and Decision Analysis dedicated to anticipation and risk assessment. Collaboration with C.C. Young, XaviX, Inc., and antÉ – Institute for Research in Anticipatory Systems to test effects of the MindGym, a collection of interactive games made available by XaviX, on maintaining and improving anticipatory characteristics in the aging. Within the framework of Project Seneludens, the Institute is carrying on research with a number of senior residents at the C.C. Young Retirement Community. Melinda Andrews, a doctoral candidate at the UT-Dallas School of Behavioral and Brain Sciences, is using the activities in the MindGym, an original computer-aided fitness program based on a collaboration with XaviX, Inc to report on how anticipatory characteristics are maintained or improved through a focused involvement with games. Berkeley Initiative in Soft Computing, University of California-Berkeley. Manuscript describing civilization of illiteracy to the general reader.